It's mango season in India, and wherever you look someone is trying to sell you a juicy Alphonso. I read in yesterday's paper that the mango crop was down 25% this year due to global warming, but that's hard to imagine when walking through the rows upon rows of mango sellers in Crawford Market. 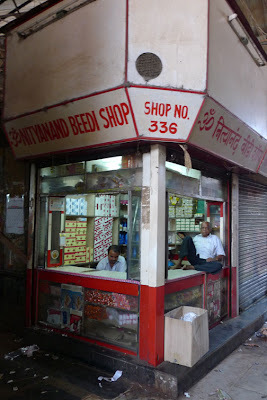 Most of the other markets and bazaars in Mumbai specialize in specific products - antiques, saris, meat, etc - but, it seems like you can buy just about anything at Crawford. We looked around on a Sunday, and thus it was only running at half its capacity. Even so, there were a myriad of goods on offer. 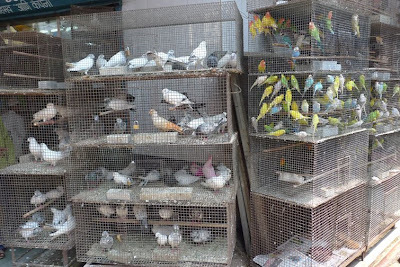 In one end of the market you can buy an African Grey Parrot for $500. 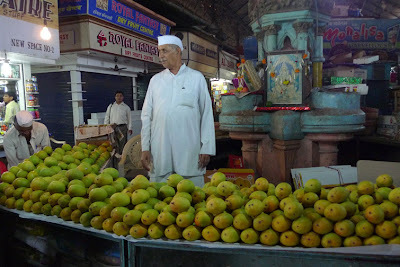 Around the corner from there are cases of mangoes for 600 rupees. And just beyond that I found my favourite brand of shampoo and conditioner for only a couple hundred rupees, (the very same products are only available at home in posh salons, at a price that I can't actually afford.) Apparently, we will have to return on a weekday if we want to buy a goat's head.